You are here: Home / Healthy Eating / What Is A Raw Food Diet or Being Raw Vegan? Technically, the food can be heated, although not over 115-118 degrees Fahrenheit (recently I’ve read as much as 120 degrees but I don’t agree). 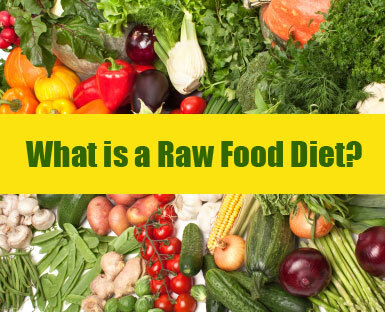 Roughly 80% of the food consumed when you are raw vegan is raw fruits and vegetables. Nuts, seeds and sprouted grains and legumes make up the remainder. While most raw food devotees are vegetarian or vegan, there are also some that consume raw, unpasteurized milk products and eggs. I don’t agree with that due to issues with commercial cooking and pathogens in unpasteurized milk or dairy that could make you sick. Although not originally designed for weight loss, far less calories are consumed on a raw food diet than on traditional cooked diets, so participants generally lose a significant amount of weight. Long term raw vegans are generally lighter weight than the general population. There are other health benefits that can go along with this lifestyle. Studies have shown that cholesterol and blood pressure levels are much lower among raw food enthusiasts (vegetarians and vegans). Because fats and sodium are kept at practically zero, the entire cardiovascular system benefits. There is some risk of several types of cancers are prevented or greatly reduced by consuming raw vegetables, especially the Cruciferous family, cabbage, broccoli, etc. At the backbone of the raw food movement is the belief that food loses vital nutrients and enzymes during the cooking process. A traditional stove and oven are not needed for this way of eating. A high quality blender, food processor and a dehydrator are the main appliances needed for food preparation. The should be of high quality and have many varied setting and accessories as they will be used constantly. Be prepared to spend a lot of time prepping food. There are a lot of ways to prepare raw food in creative, ingenious ways, but all that planning chopping, blending and crisping takes time. Although many aspects of this way of eating are positive, some medical experts are concerned about the amount of vitamin D, calcium and B12 not easily attained with this diet. For this reason, supplements are highly encouraged. A vitamin 12 supplement is a must and you have to educate yourself so that you are getting enough essential nutrients. Because of the restrictive nature of this diet, it is not recommended for children as it as it may not contain enough nutrition for optimum growth. If also can be problematic for people who have had eating disorders and may be drawn to the concept of eating a very limited diet. While some proponents of the raw food movement are very strict, many feel that there can some leeway and that every person is the best judge of what he or she can tolerate and live a healthy and robust life. Many feel that “A little raw is better than no raw at all.” There is a lot of information and support available, both in book form and online, to those seeking to investigate deeper into this way of eating. Advice on how to ease into it and what newcomers can expect, as well as recipes that go far beyond a chopped salad and a handful of nuts. What is a Vegan and Why Should I Consider Being One?